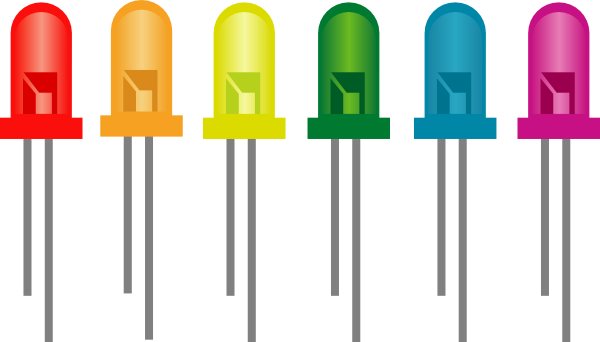 The PN junction diode which emits the light in forward biased condition is called LED (Light Emitting Diode). 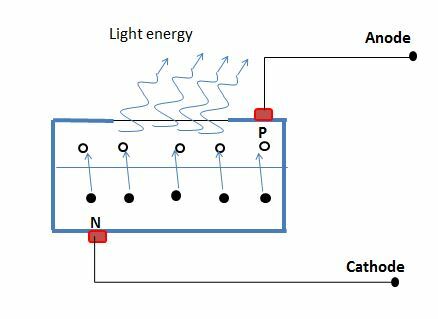 It emits the visible light and invisible light when current passes through it .The brightness of the light depends up on the current flowing from the circuit. 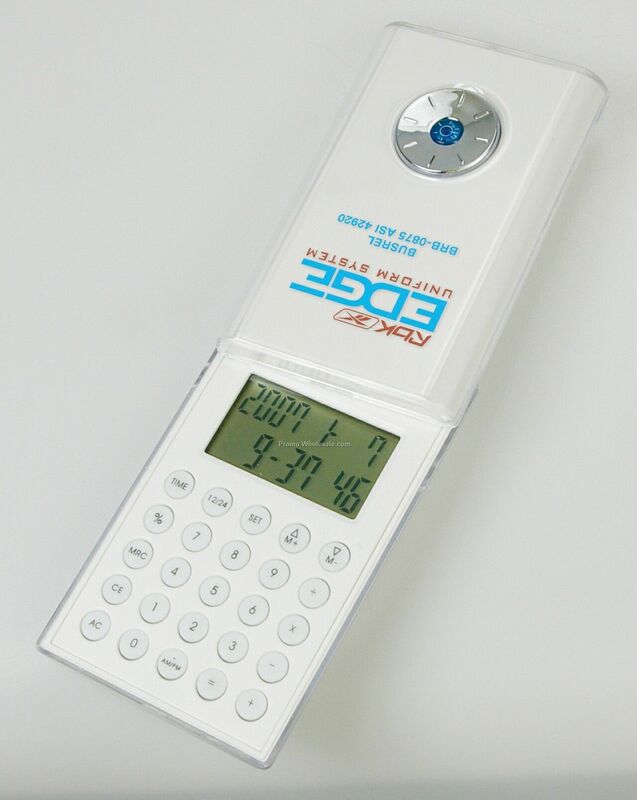 It has revolutionized the world making every electronic device very small, portable and efficient. 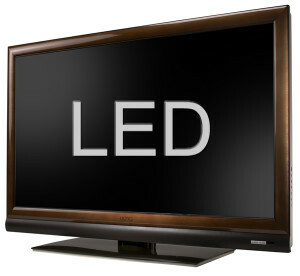 LED was created initially by the Russian scientist Oleg Losev in 1927 and it became practically possible in 1962 only. The first practical Red visible light was developed in 1962 by Nick Holonyak Jr. while working at general electronic company and published his work on Journal of Applied Physics on December 1962, and he is considered as the father of LEDs. Previously, it emitted red low intensity light but nowadays it is also available in visible, Ultra Violet, Infrared, and very bright visible light too. 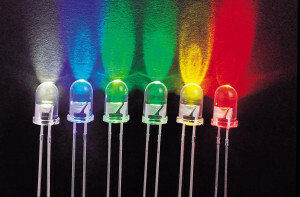 Other different colors of LEDs were developed later, but highly efficient and bright diode was developed in 1976. LED is a PN junction diode which emits light so metal is connected to the both the P and N layers separately as in Fig. 1.Now,the current is passed through the junction and the light is radiated when the recombination of electrons with holes takes place. When electrons from the N-region reach to the P-region, they emit light through the window provided at the top of the surface. In the forward biased condition, electrons and holes moves toward the junction and combination takes place. Electrons in the conduction band of N-region fall into the holes at the valence band of the P-region. This energy difference eventually produces the light energy in the diode. However, in the ordinary diode, this energy is radiated in the form of heat. Gallium Phosphide and Gallium arsenide Phosphide can be used for the fabrication of the LED. Silicon and Germanium only can’t be used because they poorly emit light radiation but produce light. 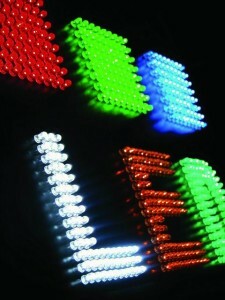 What define the colors of LED? What are the uses of LED? 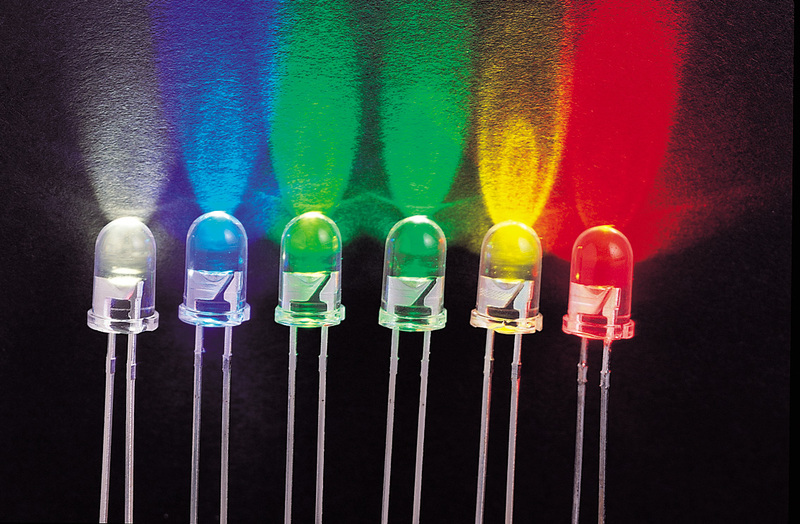 LEDs were very expensive initially until 1968; the visible and infrared LEDs are in the order of $200 per unit so it had little practical uses. 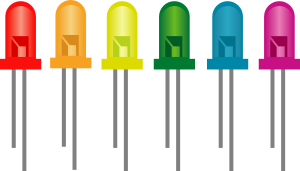 In 1968, Monsanto Company industrially produced LEDs using Gallium Arsenide Phosphide (GaAsP) and later it was developed by the other companies in different colors and verities. 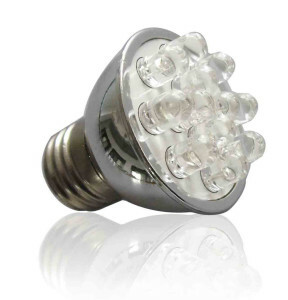 It is more efficient light sources maintaining efficiency and reliability at acceptable level. Because of its efficient properties nowadays it has replaced other lighting system including fluorescent light which was considered as the most efficient light source. The interesting thing is that The Nobel Prize in Physics 2014 that was awarded jointly to Japanese scientists; Isamu Akasaki, Hiroshi Amano and Shuji Nakamura for the invention of efficient blue light-emitting diodes which has enabled bright and energy-saving white light sources. Filament bulb consumes more electricity and fluorescent lamp contains mercury which is very hazardous to the human health, so popularity of the LEDs is increasing day by day. Environmentalist are also raising the question about the use of the mercury containing materials, they are giving the pressure to ban Mercury products from the world. This also suggests that our future will completely depend up on the LED in every part of our life. I think it will solely rule the world and completely change the structure of the technology. 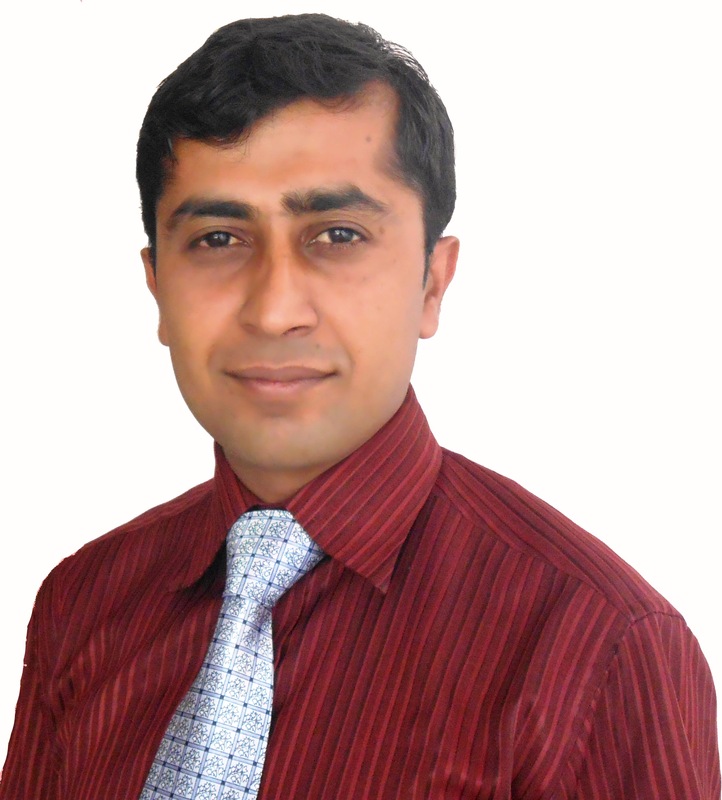 #Achyut Sapkota is Physics Researcher.